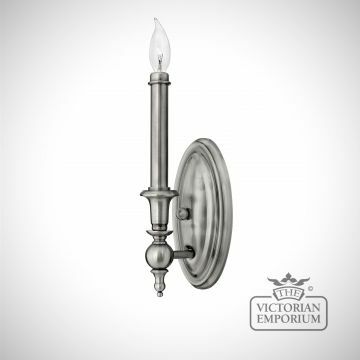 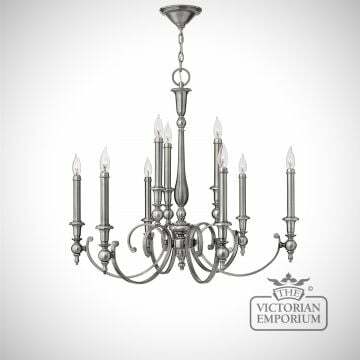 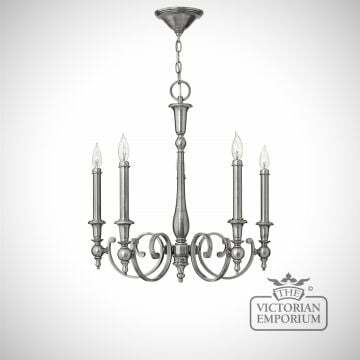 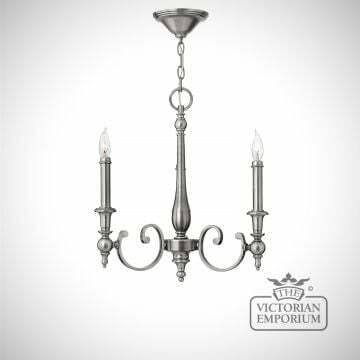 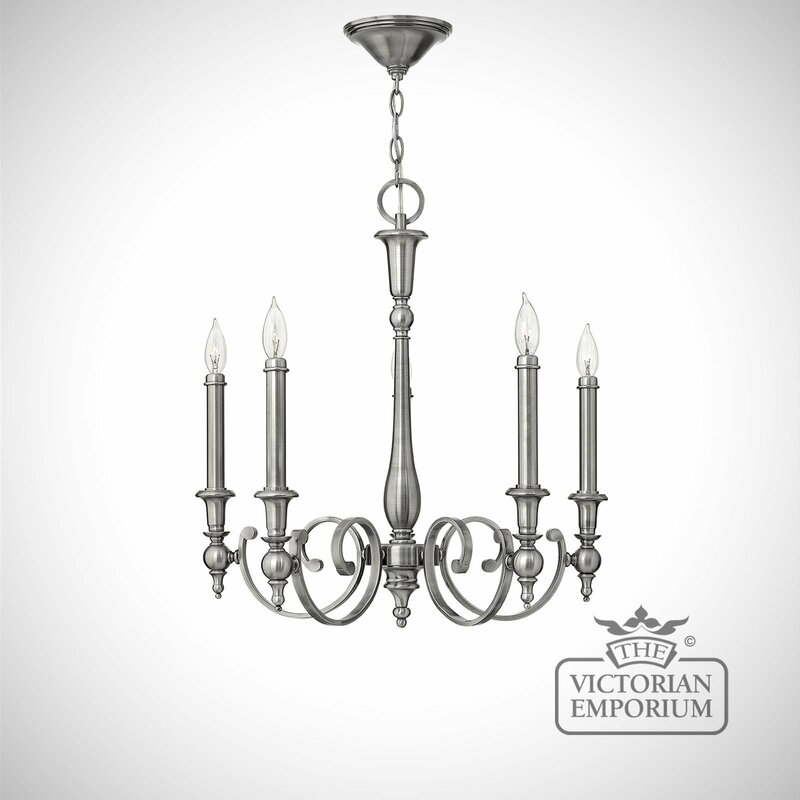 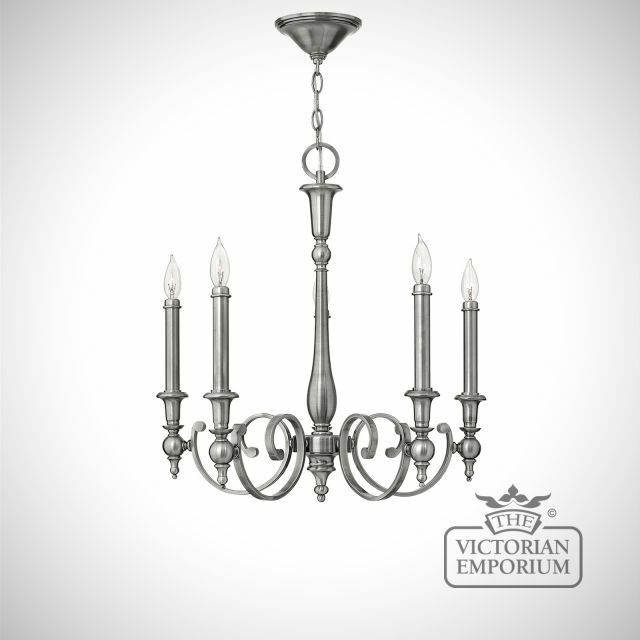 This is a very plain classic and elegant ceiling light in antique nickel. 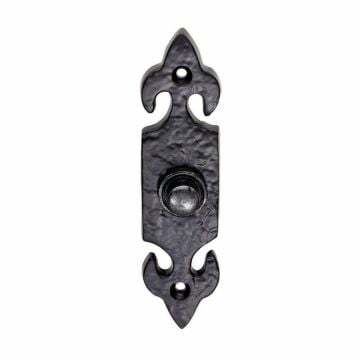 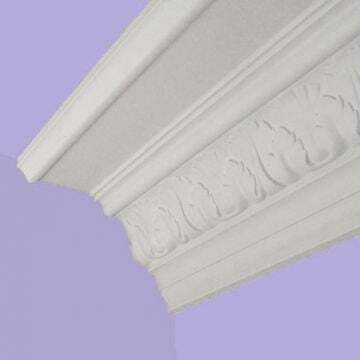 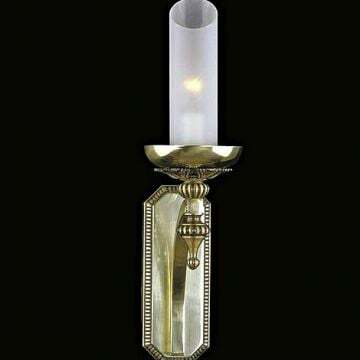 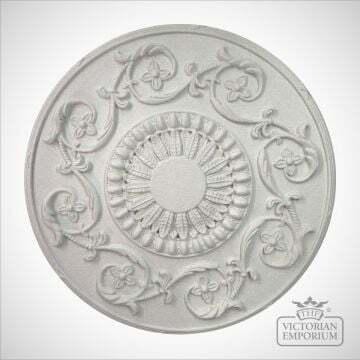 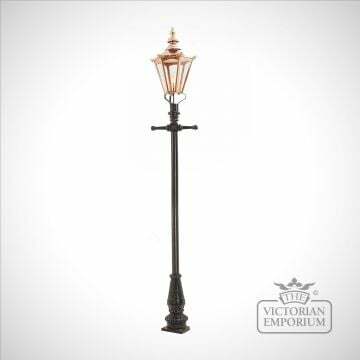 It has cast detailing for an authentic touch with tall off-white candle sleeves, finials and ball joints. 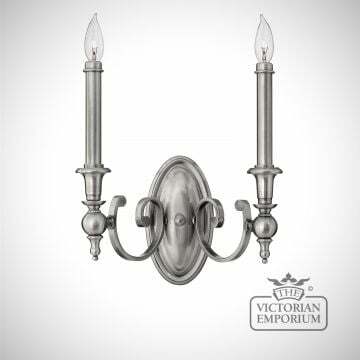 This collection comprises matching single and double wall sconces and three sizes of chandeliers.